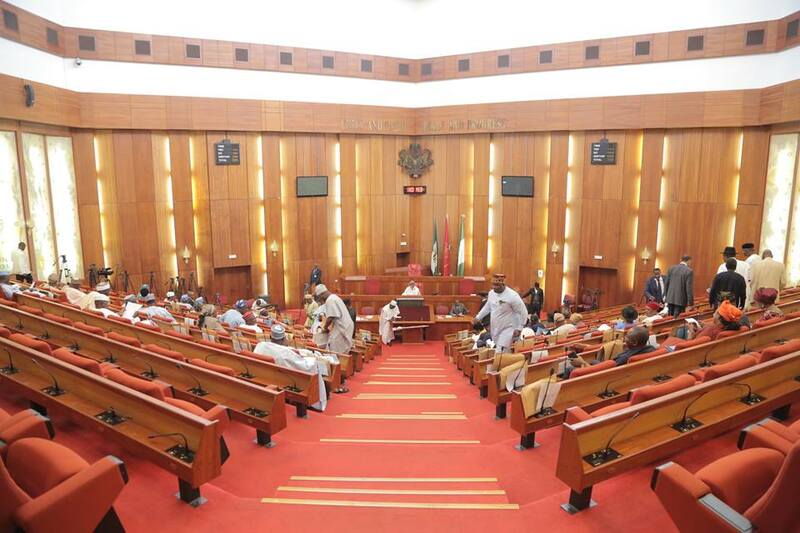 The Senate has kicked against the N64 billion contract for the construction of a second runway at the Nnamdi Azikiwe International Airport, Abuja, declaring that the contract sum was too high. In a three-point motion by Sen. Dino Melaye (APC Kogi West), Wednesday, the Senate acknowledged the urgent need for a second runway at the airport, but that noted that the contract sum has to be “drastically reduced’’. “The Federal Government should reduce this unrealistic cost and duly monitor the award process,” Melaye said. He noted that the proposed cost of the runway far exceeded the cost of constructing some airports around the country and even abroad. He noted that the terminal 5 in Heathrow Airport, with four lanes of 4km runway, cost less than N25 billion, while the entire Gombe Airport, with 3.66km runways, cost N8.2 billion. He said that the Jigawa Airport cost N11 billion, Bauchi Airport, N12 billion, Enugu Airport, N13 billion, while the Akwa Ibom Airport cost about N18 billion. He, therefore, wondered why the proposed construction of a mere runway at Abuja Airport would cost N64 billion. Melaye recalled that the contract had been cancelled earlier by the Jonathan’s administration over its high cost, and urged President Muhammudu Buhari to follow suit. “We have to let all the MDAs know that those days of recklessness are over and these kinds of figures will not be accepted. In fact, it is not just in aviation, but in all other sectors of the economy,” he declared.